Just in time for Thanksgiving and Christmas, here is a great giveaway cookbook with fifty stuffings and dressings from which to choose for your holiday bird. Or don’t stuff a turkey. You can stuff a chicken, flank steak, or acorn squash. There are all kinds of creative stuffings made with cornbread, grains, fruits, vegetables, bread, and meats. 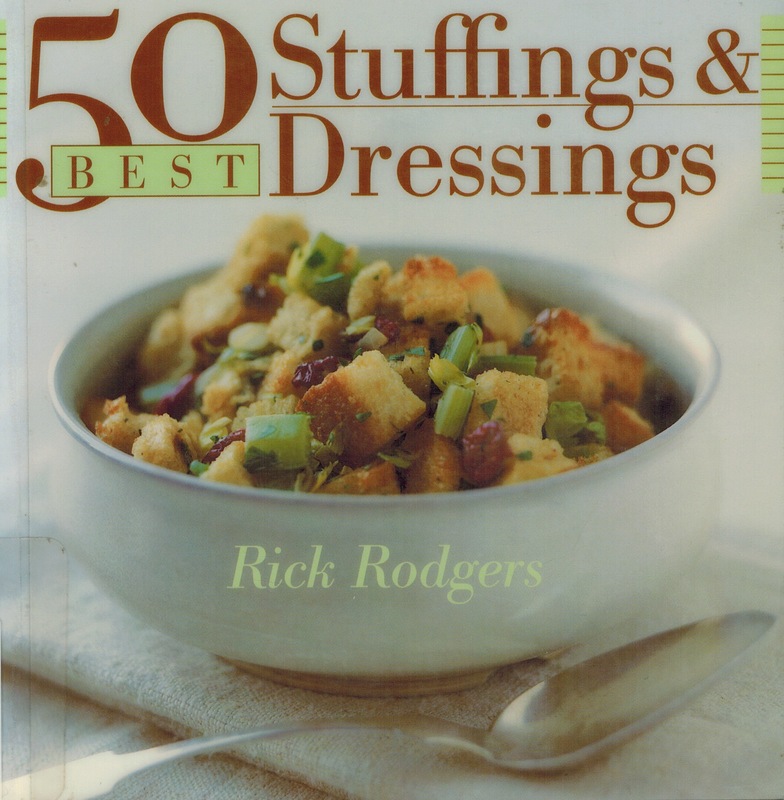 Here is just a sampling from this wonderful little book: Antipasto Stuffing with Salami and Provolone; Kielbasa, Sauerkraut, and Apple Stuffing; Sweet Potato, Orange, and Dried Cranberry Stuffing; Wild Rice and Sausage Stuffing; Portuguese Cornbread Stuffing with Clams and Spicy Sausage; and not to forget a favorite, Classic Bread Stuffing with Onions, Celery, and Herbs. 1) Leave me a comment here on the blog and tell me your favorite dressing or stuffing. That’s it! 2) Winner is selected randomly using random.org and is open to Continental USA only. Enter now through this Saturday, November 22, 2014 at 11:59 pm CST. Winner will be notified by Monday, November 24, 2014. Good luck! Congratulations to the very lucky winner of the Driscoll coupons and the brand new best-seller Dorie Greenspan book, “Baking Chez Moi,” Madonna Y. Thank you to all who entered. I have many more great books in the weeks to come. Don’t give up – keep entering! 8 Responses to Stuff It! Your Turkey, That Is.. I make a oyster stuffing with seasoned cubed bread and onion, celery, mushrooms, and butter – moistened with chicken broth. I add chopped water chestnuts for some crunchy texture. Have to watch myself when making this – might eat too much of it BEFORE stuffing my bird. I wanna do popcorn stuffing! I use a sausage stuffing recipe. It is favored, but, looking for a new stuffing recipe for variety. My 94-year old mother-in-law still makes the best cornbread dressing that you have ever eaten! While others will later have a dessert or two, I have another serving of her dressing for my dessert! I love cornbread stuffin, but want to try some popcorn stuffin – could this be the year? My favorite stuffing is my Mom’s recipe. Isn’t Thanksgiving without it. My favorite is a very simple stuffing with onions, celery, toasted white bread, turkey broth made from the necks, salt, pepper, and poultry seasoning.